View rooms and cottage availability below. You may book a room or cottage online. We also invite you to call us toll free at 1-877-529-7986 or email at tel5194411690@hotmail.com for information and to book. The Port Albert Store and Pub is now open across the street from the Port Albert Inn. We look forward to having you as our guest! The 6 bedroom Mill House Cottage is right next to the waterfalls and Conservation area in tiny the lake-side village of Port Albert. It was built in the 1842. The Mill House has 6 bedrooms and 3 full bathrooms. It has full kitchen facilities (no dish washer), covered patio, deck, and sunroom, as well as a very large yard with firepit. We provide the camp fire wood. It has gas fire-place. It is just a 6-8 min walk to the public beach or you can drive to free parking at the sands edge. The beach in Port Albert is a beautiful, quiet, sandy beach with amazing sunsets! The Nine Mile River meanders through the tiny village of Port Albert. Wireless internet, DVD, satellite TV, large BBQ. We provide the propane for the bbq. Two fridges, 1 deep freeze. Washer and dryer. There are 4 queen beds, 2 doubles beds, 5 single beds. Steps to the Port Albert Inn and the General Store and Pub. The Port Albert General Store and Pub is open year-round and provides tasty food and fresh produce. There is bathrooms on the lower and upper levels. Just bring your food and personal items because all bedding, linens, towels, soaps provided. Free camp fire wood provided. Well mannered pets welcome. An additional pet fee applies. Sleeps 17 people and we allow up to 23 at this cottage. The Shamrock Beach Cottage has 8 bedrooms and 3.5 bathrooms. It sleeps 24 people. It has 4 floors and has 4000 square feet of living space. It is located a 5-7 minute drive north up the coast from Port Albert, Ontario. It is very private and has a large yard. 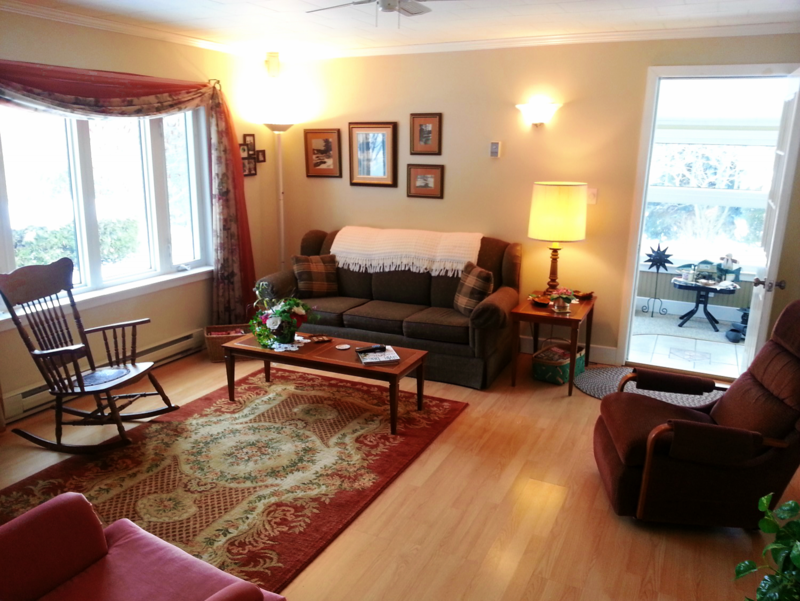 It has full kitchen facilities(no dish washer), patio, deck, and a large bright common room. There is a firepit and we provide the camp fire wood. The cottage has wireless internet, satellite TV, DVD, washer and dryer. There is a fully equipped kitchen (no dishwasher) with two fridges, deep freeze, propane stove, and BBQ. Propane for the BBQ is provided. 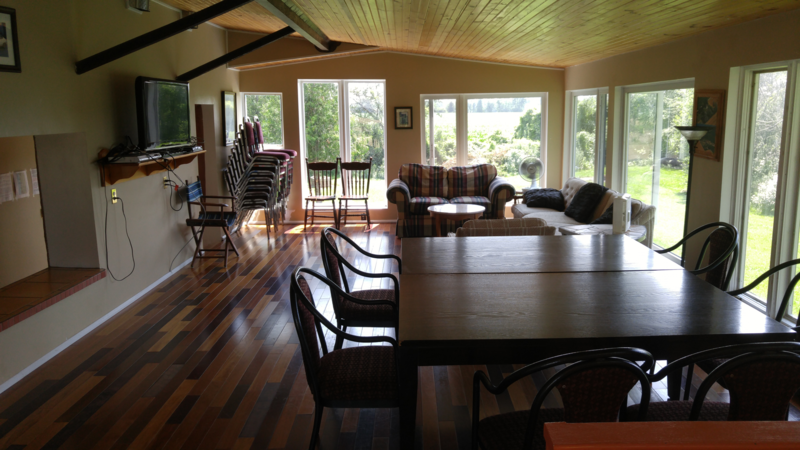 There is a balcony at the top level that provides very nice views of the surrounding farm land and Lake Huron. This cottage is not on the beach. It is a five minute walk to Lake Huron. The lower level has 3 bedrooms with double bed and single bunk in each room. Main level has 1 bedroom with 1 queen, and 2 single beds. Second level has 3 bedrooms with queen bed in each room. The third floor loft has 1 queen, 1 double, and 1 single bed. There is a bathroom on each floor. All bedding, linens, towels, and soaps are provided for 24 people. Parking for 8 vehicles. Well mannered pets are welcome. Pet fee does apply. The cottage is a 5-7 minute drive from Port Albert, Ontario. In Port Albert you will find the General Store and Pub, the Port Albert Inn, the waterfalls and the sandy public beach. The General Store sell gas, fresh produce, take-out food. The pub serves cold drinks and tasty food. It is a 7-9 minute drive to Ashfield Park Public Beach conservation area, and picnic shelter rental. Just a 8-10 minute drive to buy food, take-out food, beer, liquor and wine at the Amberley Store. It is a 20-30 minute drive to the towns of Goderich and Kincardine. The Port Albert Inn. Built in 1842 the Inn is a historic Inn located near the waterfalls and the sandy beach in the tiny village of Port Albert, Ontario. Just a 15 minute drive north of Goderich, Ontario in the park-like Nine Mile River Valley. We provide accomodations for visitors seeking a quiet, friendly, relaxed atmosphere. We are next to the conservation area. A 1 minute walk to the waterfalls and a 6-8 minute walk to the sandy, public beach. We invite you to enjoy our comfortable lodgings and quiet, natural surroundings. We provide a full hot breakfast for your breakfast during your stay with us. Tasty food and cold drinks are served daily right across the street at the Port Albert General Store and Pub! Ice cream cones, fresh produce, convenience items and gas, can also be purchased there. Goderich and Kincardine which our nearest towns where you will find recreational opportunities, retail outlets, as well as many restuarants and pubs. 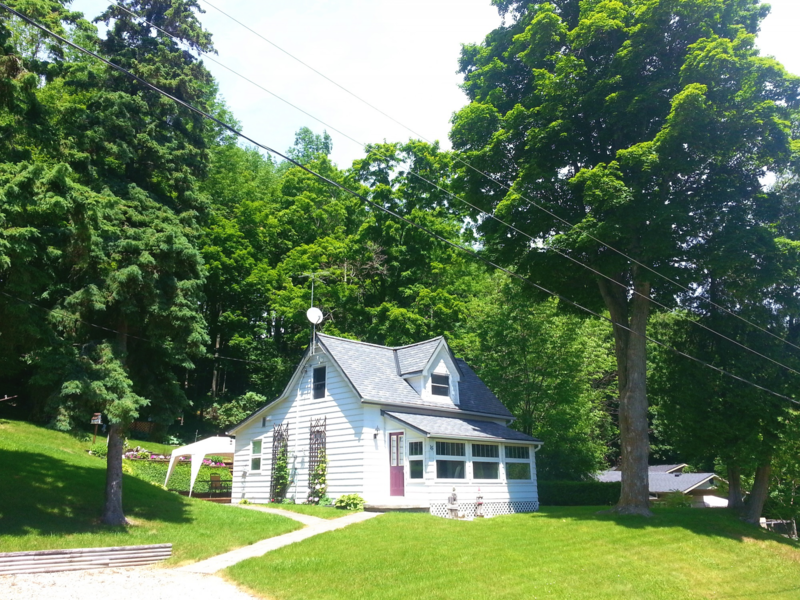 Pams 2 bedroom Cottage is located a 15 minute drive north of Goderich, Ontario in tiny the lakeside village of Port Albert and just a 4-6 minute walk to the beach. 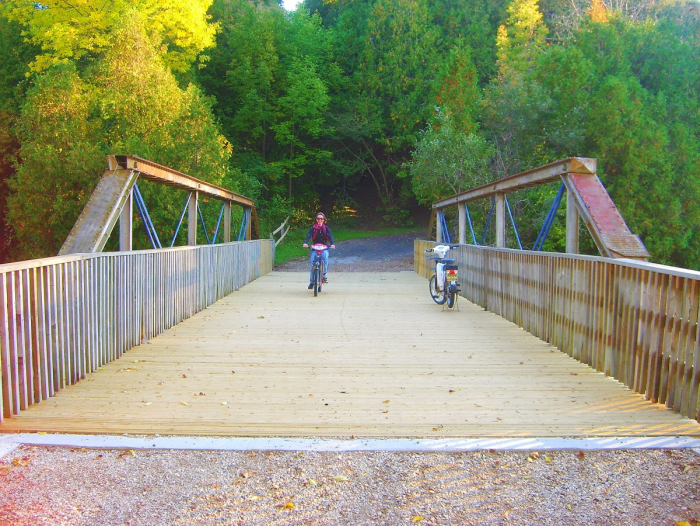 It is a 2-4 minute walk to conservation area, the waterfalls, and the Port Albert General Store and Pub. It has full kitchen facilities (no dish washer), covered patio, deck, as well as a private yard with firepit. We provide the camp fire wood. The beach in Port Albert is a beautiful, quiet, sandy beach with amazing sunsets! The Nine Mile River meanders through the tiny village of Port Albert. The river is a 1 minute walk from the cottage and is very popular with anglers. Wireless internet, DVD, satellite, TV, BBQ. We provide the propane for the bbq. There are 2 bedrooms with a queen bed in one room and a double bed in the other bedroom. There is a futon with double sized mattress in the lounge area. 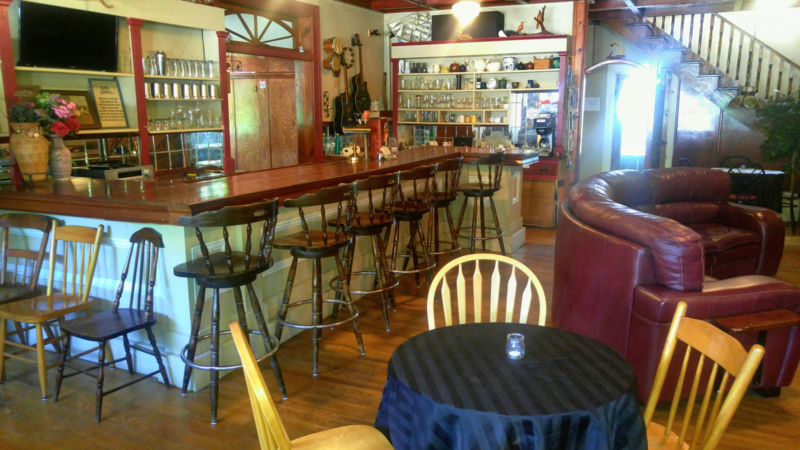 The Port Albert General Store and Pub provides cold drinks, tasty food, fresh produce, gas and convenience items. Just bring your food and personal items because all bedding, linens, towels, soaps provided. However we provide beddings, linens, and towels for the beds and guests in the 2 bedrooms only. If guests decide to use the futon mattress they must bring linens and bedding for the mattress. Free camp fire wood provided. Well mannered pets welcome. There is an additional pet fee of $19 per pet per night. There is parking for 2 vehicles. There are stairs leading from the parking area to the cottage so this cottage is not suitable for guests with mobility issues. Sleeps 4. 2 bedroom Wiffen Cottage is located a 15 minute drive north of Goderich, Ontario in tiny the lake-side village of Port Albert and just a 2-4 minute walk to the sandy, public beach. It is a 2-4 minute walk to conservation area, the waterfalls, and the Port Albert General Store and Pub. It has full kitchen facilities (no dish washer), deck, as well as a private yard with chimney firepit for small campfires. We provide the camp fire wood. It has a gas fireplace. The beach in Port Albert is a beautiful, quiet, sandy beach with amazing sunsets! The Nine Mile River meanders through the tiny village of Port Albert. The access to the Nine Mile River is a 1 minute walk from the cottage. The cottage has DVD, satellite and TV. There is a BBQ. We provide the propane for the bbq. The bedroom on the main level has a Queen bed. The bedroom on the second level has a double bed. The Port Albert General Store and Pub provides cold drinks, tasty food and fresh produce as well as gas, concenience items, and ice cream cones. Just bring your food and personal items because all bedding, linens, towels, and soaps are provided. However we provide beddings, linens, and towels for the beds and guests in the 2 bedrooms only. At this cottage we do not allow pets. There is parking for 2 vehicles. Sleeps 4 people. 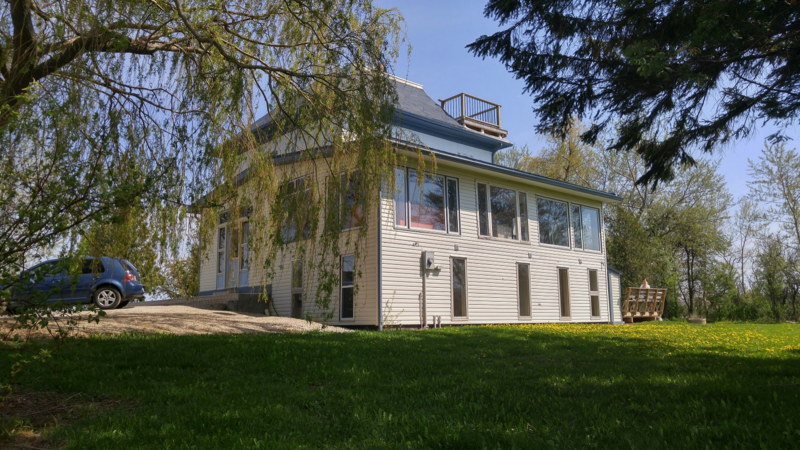 The 4 bedroom River-view Cottage is located a 15 minute drive north of Goderich, Ontario in tiny the lake-side village of Port Albert and just a 3-4 minute walk to the sandy, public beach. It is a 3-4 minute walk to conservation area, the waterfalls, and the Port Albert General Store and Pub. It has full kitchen facilities (with dish washer), covered patio, deck, as well as firepit. We provide the camp fire wood. The beach in Port Albert is a beautiful, quiet, sandy beach with amazing sunsets! The Nine Mile River meanders through the tiny village of Port Albert. The Nine Mile River access is under a 1 minute walk from the cottage. Wireless internet, DVD, satellite, TV, BBQ. We provide the propane for the bbq. On the main level there are 2 bedrooms with a Queens and a 3 piece bathroom. On the lower level there is one bedroom with a Queen bed and another bedroom with lower and upper bunk. There is a bathroom with shower on the lower level. Please note that guests must be aware that water for this cottage is supplied by a well and water for showers is not limitless. It is advised that guests take short showers to conserve water. There is a futon with double sized mattress in the lower level lounge area. The Port Albert General Store and Pub provides cold drinks, tasty food as well as gas, fresh produce, concenience items, and ice cream cones. Just bring your food and personal items because all bedding, linens, towels, soaps is provided. If you plan to use the futon you must bring your own bedding and linens if it. Pets are not allow at this cottage. Sleeps 8. Beach Front GeoDome Cottage is located right at the beach! It is a 15-20 minute walk to the waterfalls and Conservation Area in the tiny lake-side village of Port Albert and is right on the sandy beach. There are about 15 steps to the beach from the cottage. Assess to the Nine Mile River mouth is a 15 minute walk along the beach. The kitchen includes stove top (no oven), toaster oven, toaster, microwave, fridge with freezer, and all regular kitchen utensiles. There is a propane BBQ (we provide the propane) and upper and lower balconies which provide amazing views of the sunsets over Lake Huron. We provide camp fire wood for camp fires on the beach. There is a DVD with satellite TV. There is wifi internet at this cottage. There is 1 bedroom with a double bed on the main level. There is 1 bathroom with shower on the main level. On the upper level there is an open area with 1 Queen bed and at double matress that can be used however we do not provide the bedding for this double mattress. Bedding, linens and towels are only providded for the Queen bed and the Double bed on the lower level. Guest must bring there own linens and bedding for the double mattress in the upper level. The Port Albert General Store and Pub is nearby where cold drinks and tasty food, gas and fresh produce can be purchased. It is about a 15 minute drive to Goderich, Ontario. It is about a 30 minute drive to Kincardine, Ontario. All bedding, linens, towels, soaps are provided for 4 people only. Please note that at any given time there is a limited amount of hot water at this cottage. We encourage guests to take short showers to conserve water. There is parking for 2 vehicles. Well mannered pets are allowed. Pet fee of $19 per night per pet applies. We allow 4 adults and 2 small children under the age of 10 to stay at this cottage. 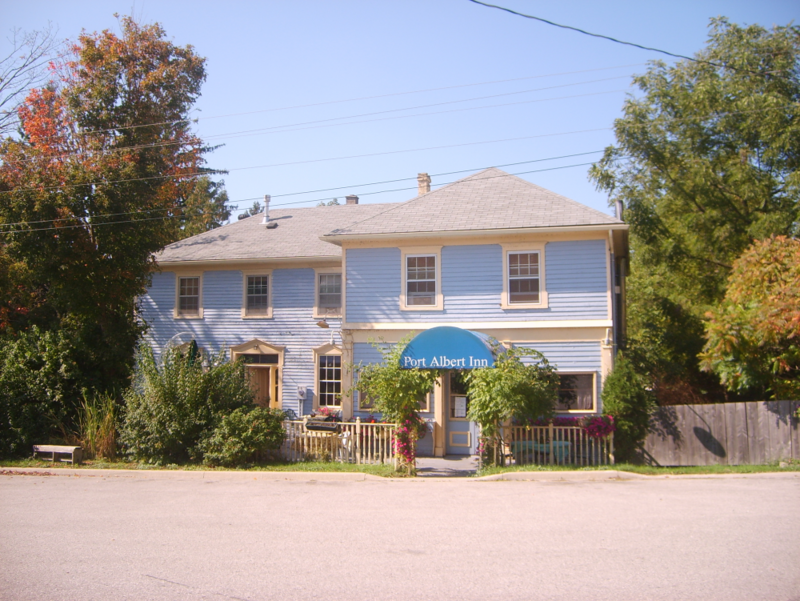 The Historic Port Albert Inn was built in 1842 next to the conservations area and the waterfalls in Port Albert, Ontario. It features 7 bedrooms in the Inn with 5 queen beds, 1 double bed, and 2 single beds. In the bunkie there is 3 with 1 queen, 1 double, and 2 singles. We allow up to 26 guests to stay at this property. There are ensuite bathrooms with showers and Satellite TV in 4 of the rooms. There is a full kitchen with all utensiles but no dishwasher. There is a large lounge with the original cherry bar, Satellite TV, and seating for over 26 people. There is a hot tub, patio, large yard, and fire pit for camp fires. We provide the camp fire wood as well as propane for the BBQ. All bedding linens, towels and soaps are provided for the beds and 20 people. Just bring your food and your personal items! We allow guest to bring well mannered pets to this property. A pet fee of $19 per pet per night applies. Across the street is the Port Albert General Store and Pub. You can purchase cold drinks, tasty food, fresh produce, gas, ice cream cones and other convenience items. 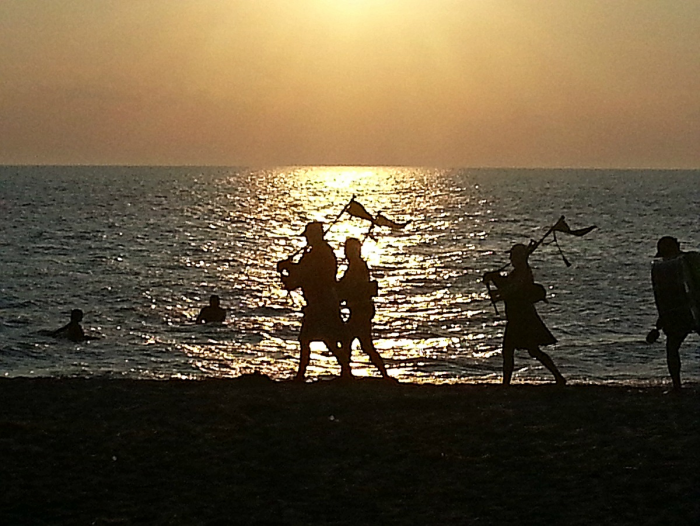 The quiet, sandy, public beach is a 6-8 minute walk where guests can enjoy awe-inspiring sunsets. Do you have a larger group than 26 people? If so you could book one of our others cottages as well. Perfect for family reunions, retreats, group vacations and small weddings. Just 15 minutes north of Goderich, Ontario in beautiful Port Albert!